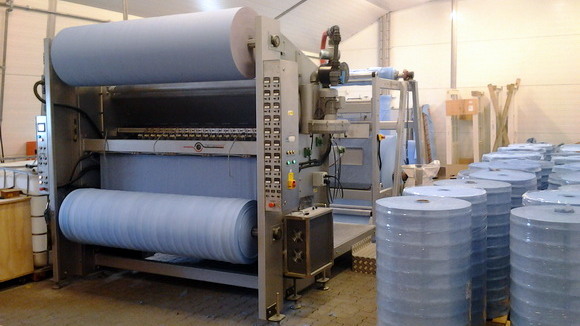 The Paper SeedMat is manufactured by Yding Grønt A/S in Denmark. The company has a high speed laminating machinery that can be used with a wide range of seeding equipment, including high density line seeder, broadcast seeder and precision seeder. The seed is usually supplied by the customer. The rolls are palatalized on big pallets (1,2m x 1m) ready for dispatch. Capacity of the machinery is 15.000 m2 per day. Well prepared seedbeds are required with smooth level surface to achieve maximum contact between the soil and the Paper Seedmat. 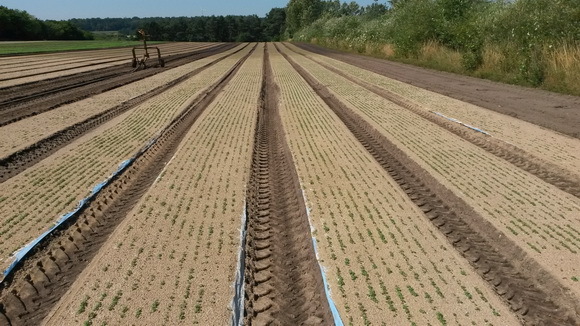 It is essential to lay the Paper SeedMat onto either a freshly prepared seedbeds (within 48 hours of cultivation) or onto a stale seedbeds where seedlings have been killed by burning or herbicide application. Once a seedling has established then the weed control performance will decrease. 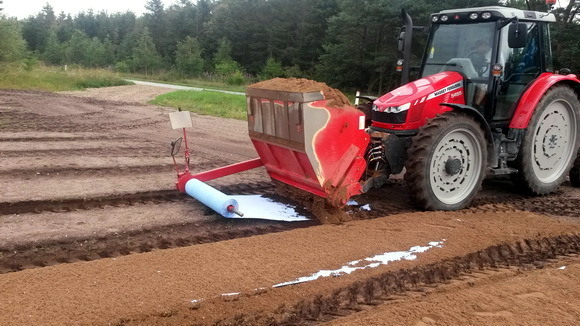 It should be laid mechanically using a conventionally available sand spreader and suitable equipment to support unwinding the Paper SeedMat rolls. Through the laying process a thin layer of cover material (sand, compost, etc.) should be applied on the top of the Paper SeedMat. Thickness of the cover material varies and depends on the requirements and crop. In general it is between 0,5 cm and 2 cm. A light drum-rolling is important after the cover material was applied. This ensures good contact between the soil surface and the Paper SeedMat to maximize crop establishment in the germination period. The seed beds should be covered with fleece to improve micro-climate, retain moisture and prevent the cover material being washed off. Irrigation management is very important, especially in the early germination stage. It is necessary to keep the Paper SeedMat moist with light frequent irrigation to facilitate effective germination and root penetration of the crop through the Paper SeedMat into the soil. In general, this means daily irrigation (4-8mm) in windy and sunny weather in the first 6 – 10 days. 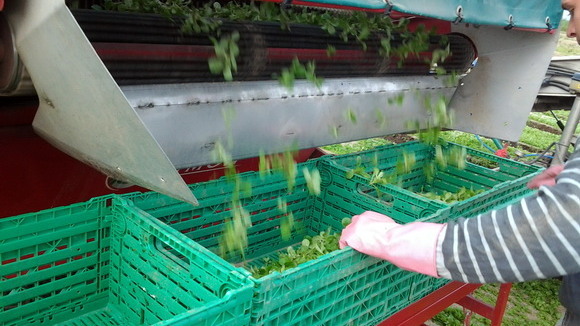 The crop can be harvested mechanically or by hand. The Paper SeedMat degrades through the growing cycle of crop, in 4-6 weeks. Therefore there is no need to remove and dispose it.